MWC 2014: Samsung Galaxy S5 set to steal the show? | What Hi-Fi? MWC 2014: Samsung Galaxy S5 set to steal the show? Mobile analyst Eldar Murtazin has leaked details of Samsung's Unpacked Event at MWC 2014. In his tweet, Eldar states the event will take place on the 23rd of Februrary at 6pm. He mentions the Galaxy S5 will be unveiled and cost £630. He goes on to say Samsung will also launch its new TouchWiz user interface. With Mobile World Congres around the corner and a new Galaxy phone imminent, it's no surprise the rumour mill has gone in to overdrive. Murtazin's prediction carries more weight than most – he correctly revealed the launch date of the Galaxy S4 – and it follows the leaked Galaxy S5 specs from last week. 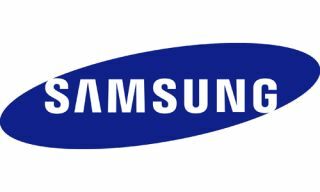 Several rumours have been circling the web lately regarding the launch of the Galaxy S5, with many still predicting the South Korean firm will follow tradition and stage a seperate launch event for the flagship smartphone. Its more likely however, that Samsung will unveil the Galaxy Note 3 Lite, which has seen its own share of media frenzy lately. We only have about a month to wait to see exactly what Samsung will be unveiling in Barcelona.